Superdry women's Kura crew sweatshirt. 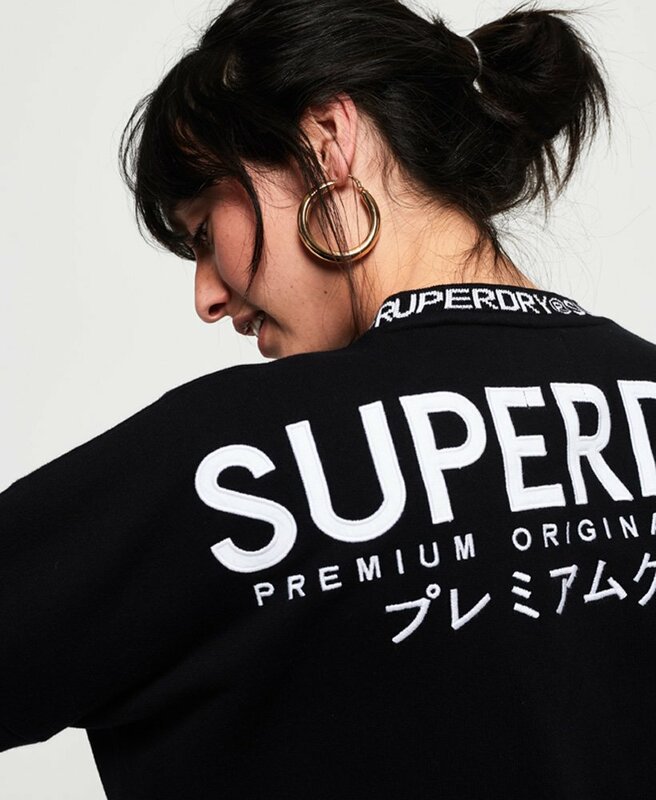 Casual dressing has never been easier with this oversized sweatshirt featuring a crew neckline with Superdry logo detailing, a large applique Superdry logo across the back and ribbed cuffs and hem. Completed with a Superdry logo badge above the hem.